A respected Connecticut multi-family residential builder creates their latest project - a 228 unit development in beautiful Fairfield county. Continental Properties has a well deserved reputation for high quality residential projects with a commitment to unique kitchens, baths and common areas. Kitchen Classics has worked frequently with Continental Properties and was proud to work side by side with them on this beautiful Connecticut project. From the outside this beautifully preserved brick building signals something different in an area of Jersey city filling fast with new construction. Modera Lofts sits in a busy and vital section of a dynamic fast growing city. It was an honor to be chosen by Mill Creek Residential to design and install the kitchens, baths and work in so many of the common spaces. 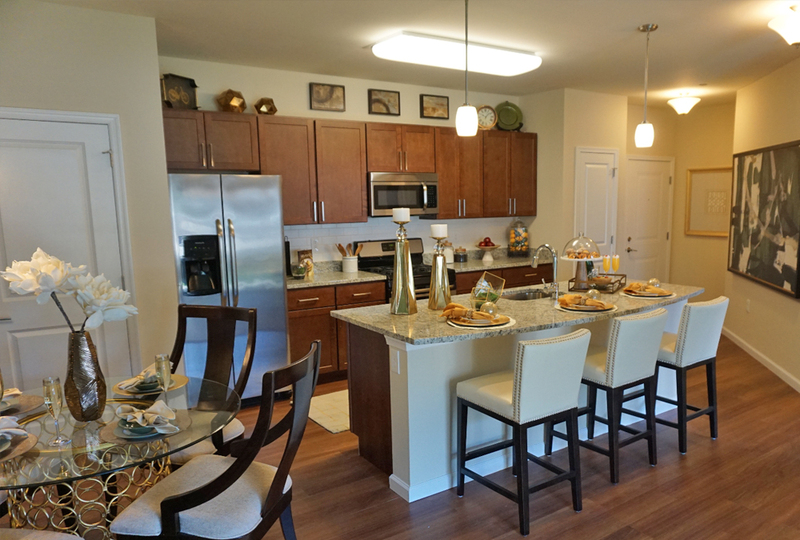 Kitchen Classics is a leader in multi-family residential projects in New Jersey, New York, Connecticut and Massachusetts. 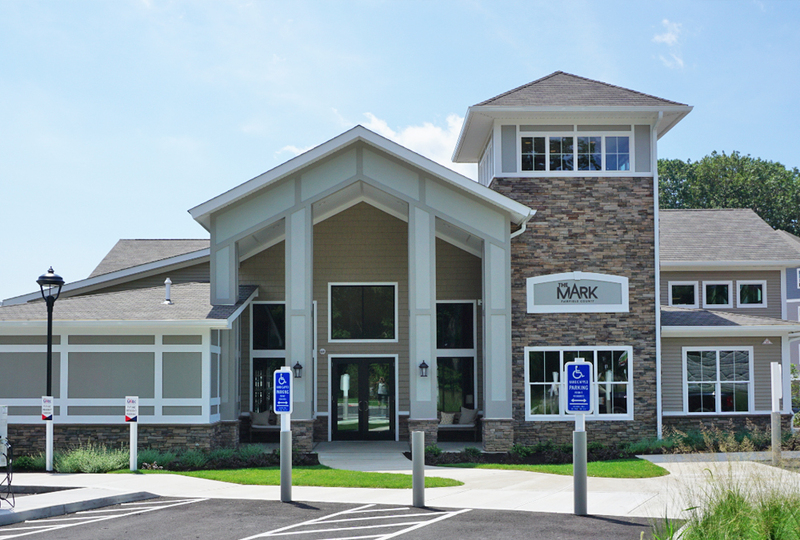 The Mark At Fairfield County features a beautiful clubhouse building, a signature of a Continental Properties multi-family project. 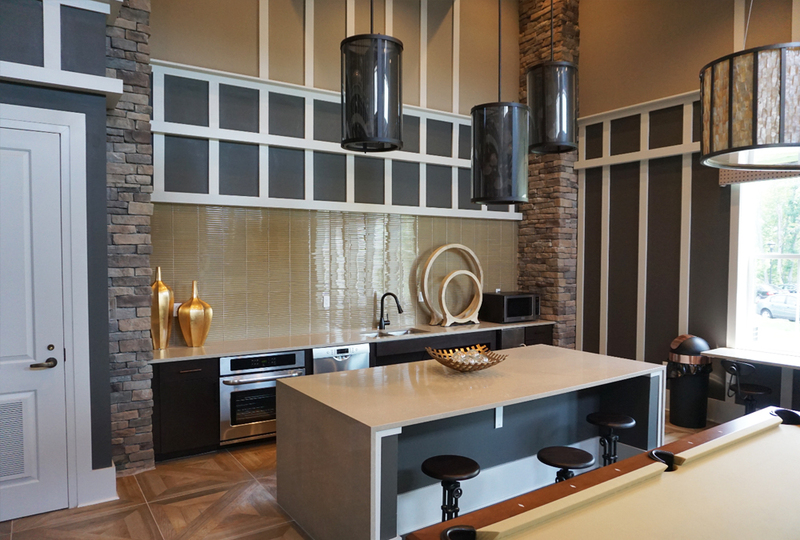 Kitchen Classics was contracted to complete all finishing millwork on the interior spaces off the clubhouse. We work with designers to assure the buildability of the design. We then expertly construct even the most complex designs. We were responsible for all doors and trim work in the clubhouse. 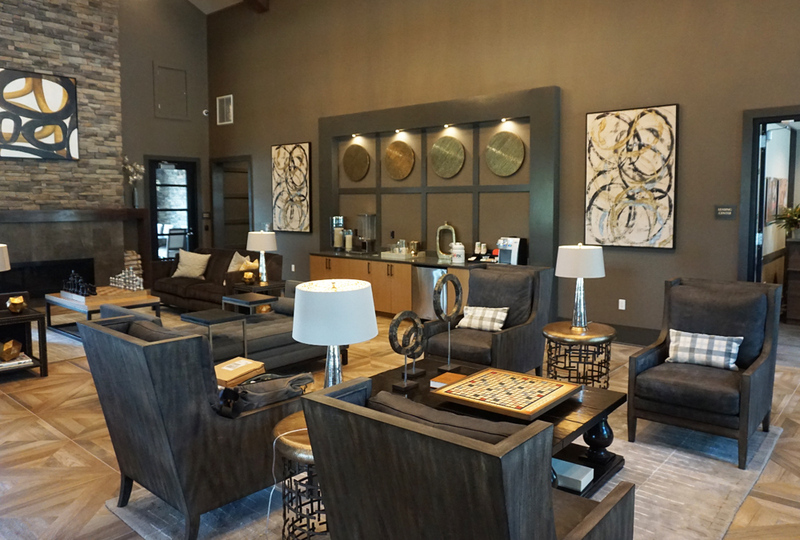 We handled the finishing millwork in the main room of the clubhouse which is a warm inviting space. 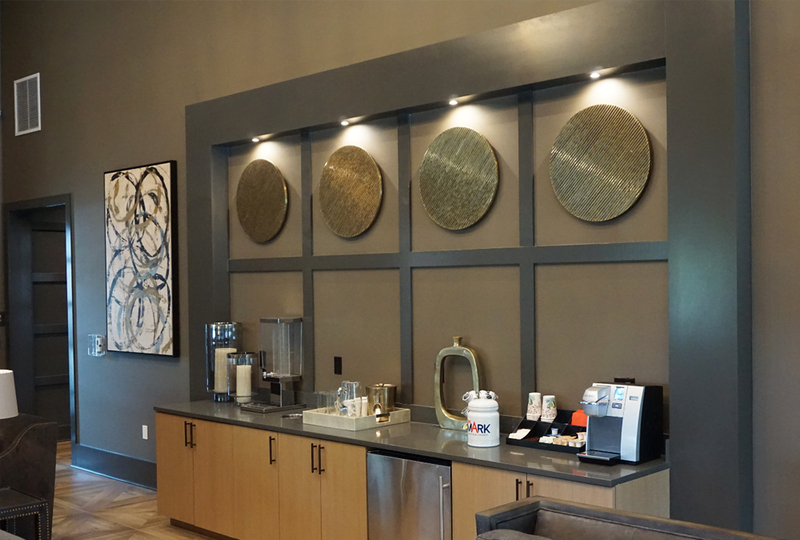 Note the wood, metal, cabinetry and countertop work on the coffee bar in the top center of the picture. We employ experienced kitchen, bath and specialty millwork craftspeople. The quality of our work is apparent in the coffee bar area.. 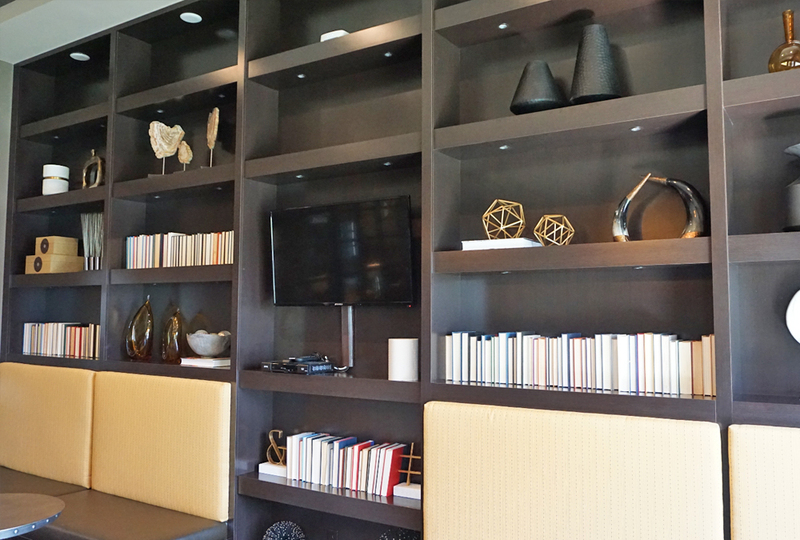 This is a complex, built-in custom wall unit that we designed and constructed. There are recessed lights in multiple shelves and we worked closely with the electrical contractor to make it invisible. We are highly skilled craftspeople with a 40 year long commitment to quality..
We are responsible for virtually all finishing touches shown in this picture. We designed and installed the kitchen cabinet and countertop, the center island, as well as the moulding treatment shown on the two back walls. 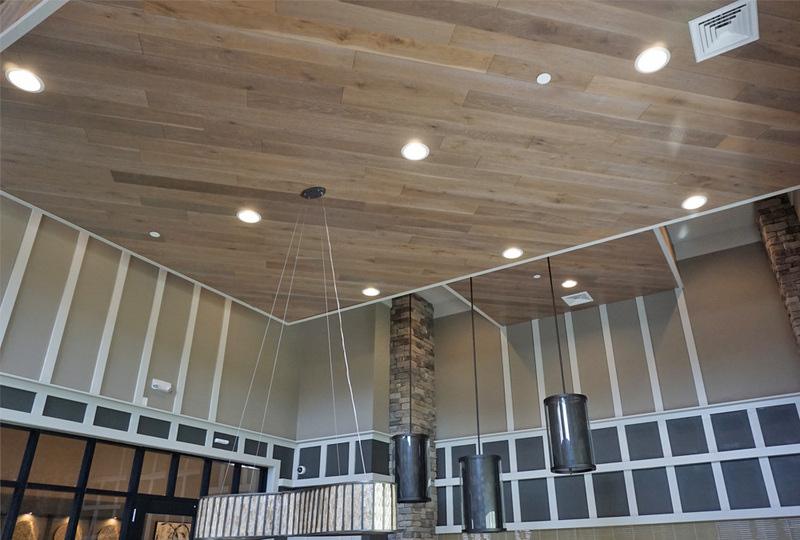 We constructed this complex, multi-level drop down wood panel ceiling. We employ excellent craftspeople.that can complete complex finish carpentry and millwork for multi-family developers. 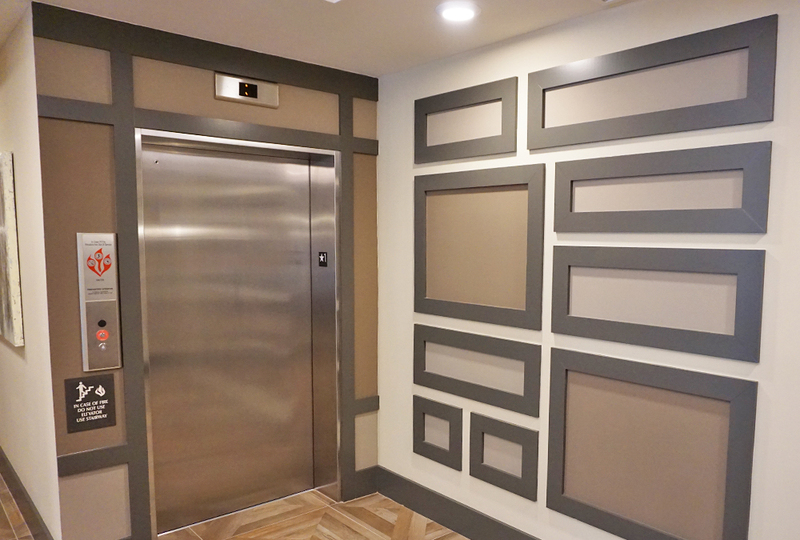 This simple molding treatment at the elevator lobby adds a low cost decorative touch and enlivens and otherwise blank wall. 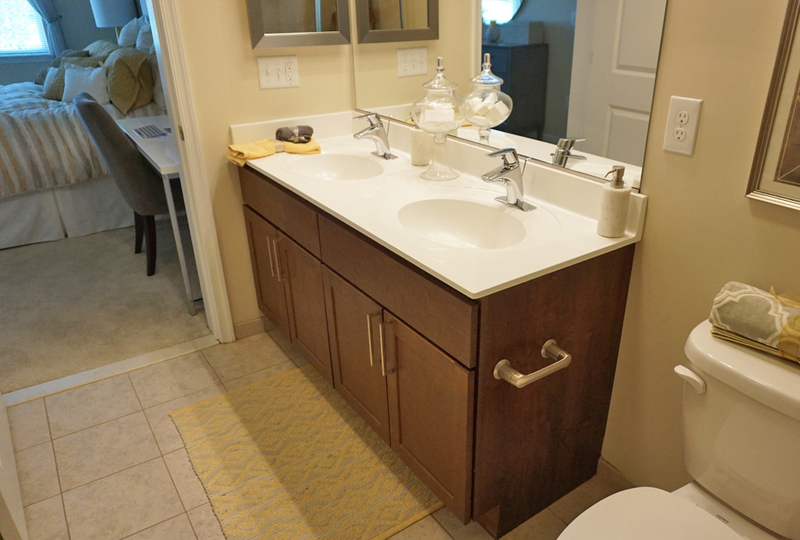 We installed similar treatments throughout the unit common areas of this 286 unit Connecticut multi-family project. 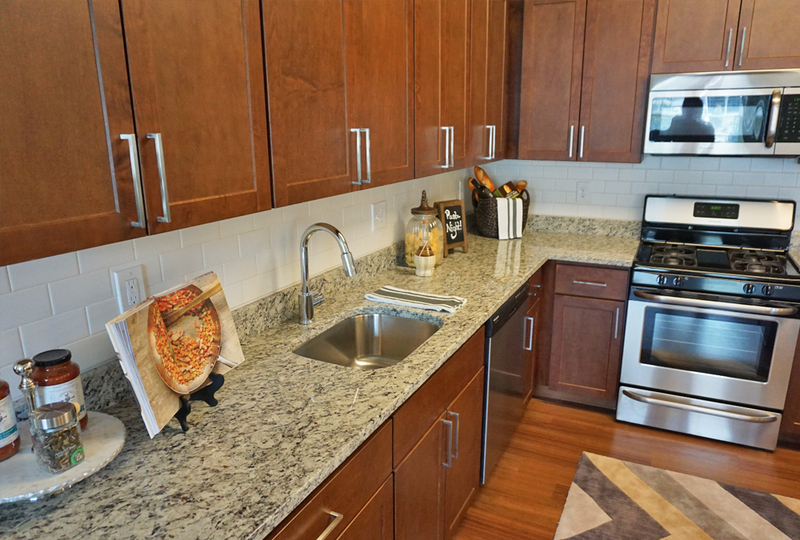 Kitchen Classics handled a range of tasks in the multi-family residential units including warm, spacious kitchens, baths, all entry and interior doors and moldings throughout. 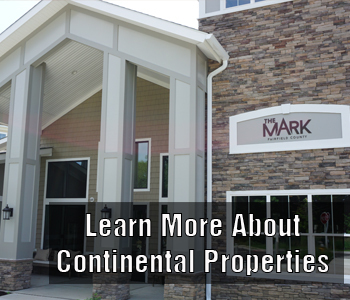 Continental Properties is an exceptionally well run multi-family residential builder that completes substantial projects on time and budget. 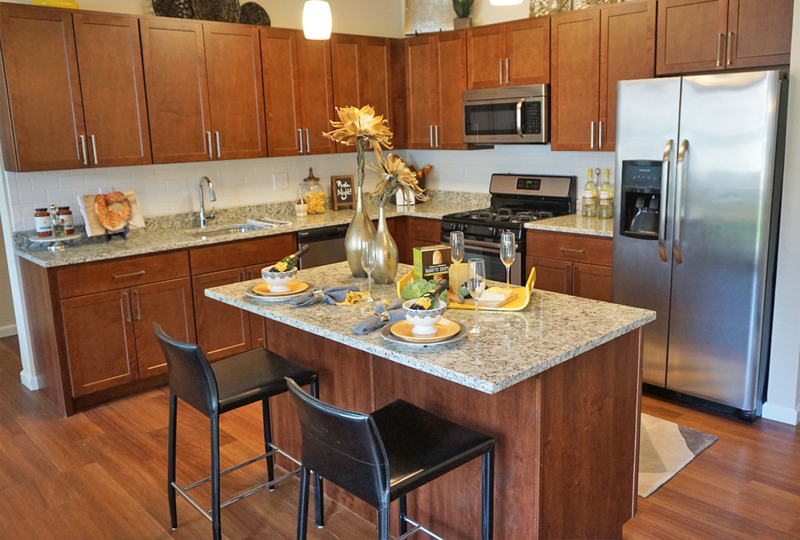 Kitchen Classics was chosen to not only complete the majority of finishing details in the clubhouse, but we provided the finished kitchens, baths, doors, hardware and molding for all 228 units. We make life easier for multi-family residential builders by serving as the single company responsible for a substantial portion all all finishing details throughout the multi-family project. Kitchen Classics also provided and installed bathroom cabinetry, marble countertops and cabinet hardware for all 228 bathrooms..